When it comes to the design of your office layout, several components should be considered. Your office layout is essential to keeping your staff happy and your clients impressed. However, if you don’t provide your office layout enough attention, you could be left with a disorganized or cluttered space. So what should you consider when you update your office layout? Be sure to choose office furniture for each area of your office that works together. Having clashing furniture can make your office appear unprofessional and unorganized, which can make clients second guess using your service. Colors should be used throughout your office layout to help promote productivity and creativity while also helping to boost the mood of your staff. Reach for pale greens and blues with the occasional pop of yellow to create a creative yet calming atmosphere. Avoid bright colors because of their tendency to promote anxiety and cause distractions. 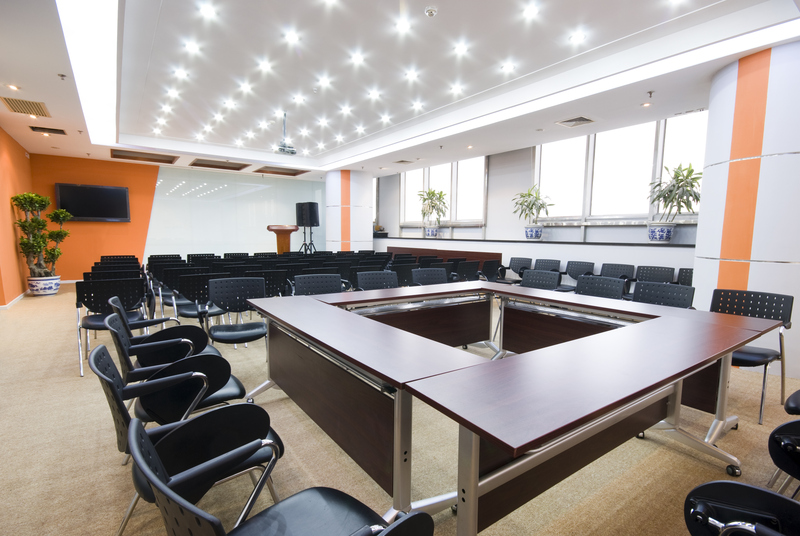 Lighting is also an important component to your office layout. Natural light is always best for productivity, but some lighting fixtures are necessary to ensure proper lighting throughout the space. Stay away from bright, iridescent lighting to avoid distracting headaches. Be sure your office layout reflects the business you conduct. If you will be seeing clients often, have a layout that directs the clients to the conference room. If you will only be working with your staff, have a layout the helps to promote collaboration and creativity. Your office layout is never something to gloss over or rush through to plan. Your office layout is a direct reflection of your business, so you want to ensure you appear as professional as you are. This entry was posted on Friday, September 25th, 2015 at 3:15 pm. Both comments and pings are currently closed.